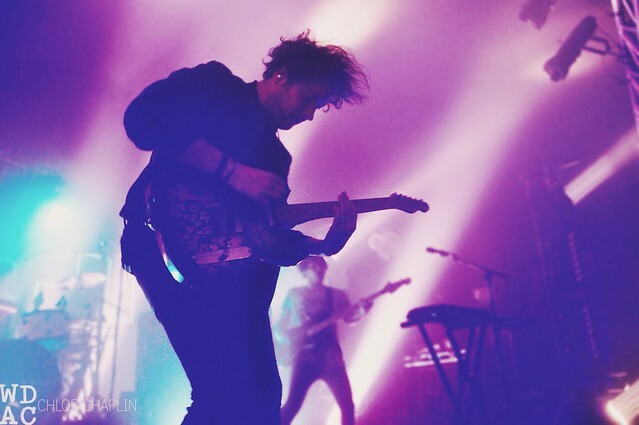 Posted on 07/06/2015 by Mickey McCarter	in Live Review and tagged Emily Haines, Halsey, Imagine Dragons, Metric, new wave, synthpop, Verizon Center. Imagine Dragons perform at the Verizon Center tonight, Monday, July 6, and just as exciting is that the Vegas quartet are bringing along Toronto quartet Metric — in all of their Canadian new wave glory. Metric have scheduled their sixth studio album, Pagans in Vegas, for release on Sept. 18, and last month they began a tour as openers for Imagine Dragons to expose audiences to the new material. How appropriate that the blokes from Vegas are helping Metric to promote their Vegas-referencing album! Vocalist Emily Haines has said the album draws heavily from primary Metric influences Joy Division, Depeche Mode and Underworld. 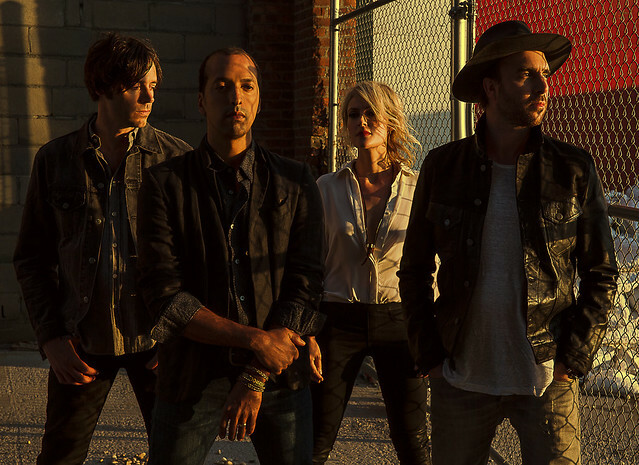 Metric has released two singles from the album so far — “The Shade” in May and “Cascades” in June — and the increased focus on synthesizers is evident from those two tracks alone. While the music sounds even more electronic, Emily’s sweet voice definitely give the songs a sense of continuity between the new tracks and Metric’s bigger guitar-driven numbers. If “Cascades” is representative of the rest of the album, this will be an amazing albeit different record for Metric. And all the more amazing undoubtedly will be the live show tonight. So show up early and don’t miss Metric! Astralwerks’ recording artist Halsey kicks off the show as first opener, and she’s scheduled to go on at 7:30pm. Metric will follow, and then Imagine Dragons. Synchronize your watches! Tickets are available online and at the box office. 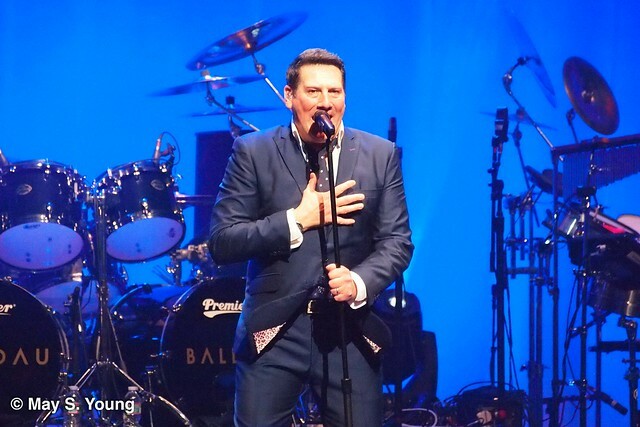 Posted on 06/18/2015 by Mickey McCarter	in Live Review and tagged China Crisis, Men Without Hats, new wave, World Cafe Live. 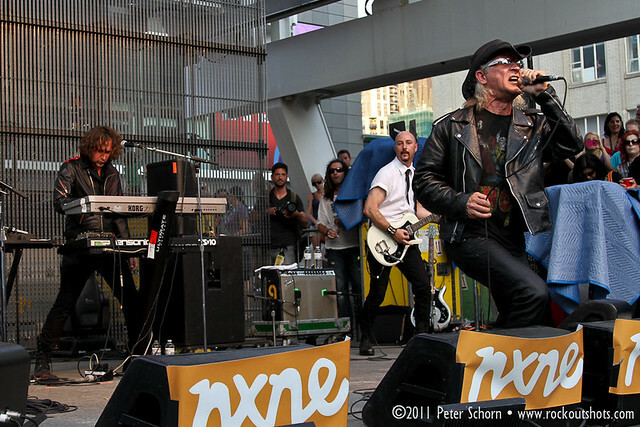 Ivan Doroschuk leads Men Without Hats during a performance at NXNE 2011. The audience got the message and the message was clear in Philadelphia on Monday, June 15: Men Without Hats are still great. Vocalist Ivan Doroschuk was in fighting trim at the World Cafe Live as he paraded through his band’s greatest hits as well as selections off a 2012 album, Love in the Age of War, recorded with his relatively new bandmates. Knowing that the crowd would enjoy a good thing when it heard it, Ivan opened this show with a stripped down, ballad version of “Safety Dance,” which brought surprising poignancy to the old favorite. Posted on 06/14/2015 by Mickey McCarter	in Live Review and tagged China Crisis, Men Without Hats, new wave, Philadelphia, World Cafe Live. 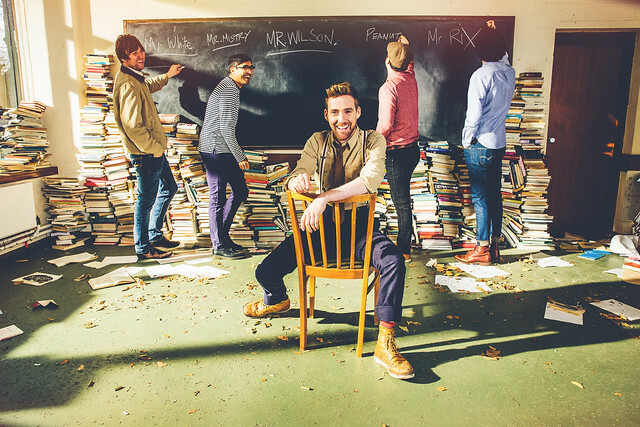 We at ParklifeDC like to do our bit to cover the waterfront as far as bands performing in our fair city. But sometimes, we just have to get out of town to see some old favorites, you know? And so it is that on Monday, June 15, we are at the World Café Live in Philadelphia, Pa., for the amazing Men Without Hats, featuring iconic frontman Ivan Doroschuk in what is certain to be an entertaining performance. How satisfying then that Men Without Hats fall squarely between the two – poppy, upbeat and wholly synthy. 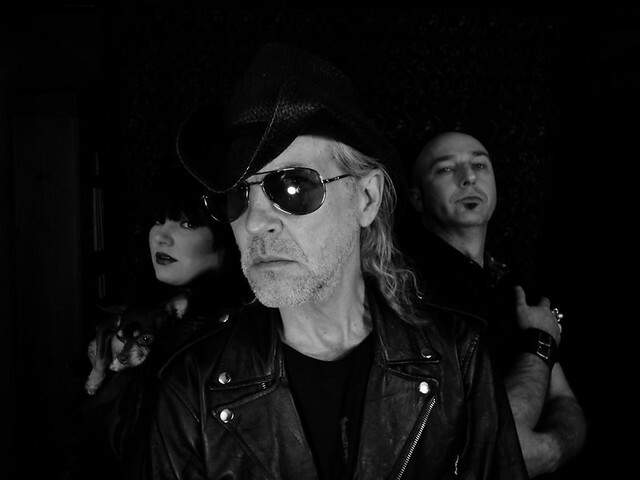 I saw the new-look Men Without Hats at the State Theatre on Nov. 29, 2012, and “the new lineup sounded amazing with James Love on guitar and duo synthesizers played by Lou Dawson and Rachel Ashmore — a killer duo with impressive synth skills,” I reported on We Love DC at the time. I added: But part of the appeal of Men Without Hats is that the songs only fans could name are really terrific songs — songs like “I Like,” “Living in China,” and “Where Do The Boys Go?” The first two appeared along with “The Safety Dance” on the Men Without Hats debut album, Rhythm of Youth in 1982 and still sound sharp today. Philadelphia, Men Without Hats are worth your time tonight. Because, as the saying goes, we can dance if we want to, and we can leave your friends behind. Everyone wants to “Safety Dance,” and Men Without Hats are certain to fulfill that desire. Men Without Hats appear with New Romantic Brits China Crisis. Tickets are available online and at the door. 3025 Walnut St., Philadelphia, Pa.
Posted on 04/23/2015 by Mickey McCarter	in Live Review and tagged cabaret, Greg Hawkes, Martha Davis, new wave, sophistipop, The Cars, The Hamilton, The Motels, ukulele. The song “Party Professionals” moves with a little bit of a faster cadence than the typical number by Martha Davis and The Motels, but otherwise it captures a lot of the essence of the band. In a musical interlude, Marty Jourard, the band’s other remaining original member, takes to the saxophone for an extended solo that leaves the audience feeling quite romantically wistful during a performance of the song, which opened a show at The Hamilton Live in DC on Tuesday night. 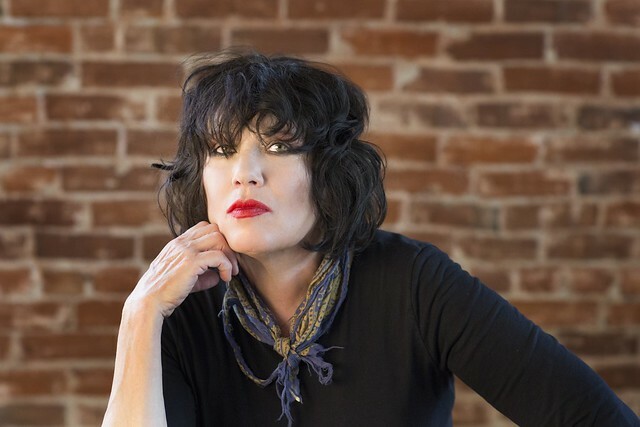 And of course nostalgia for lost love is a regular visitor to the lyrics of The Motels, whose signature songs include “Suddenly Last Summer” (which they hit early in the show) and “Only the Lonely” (which appeared in the encore), both written by Martha. The Motels hit perfect notes of sophistipop in these numbers, effortlessly blending calypso, blues, rock, jazz and new wave (certainly a genre that initially gave Martha a lot of inspiration when starting out).